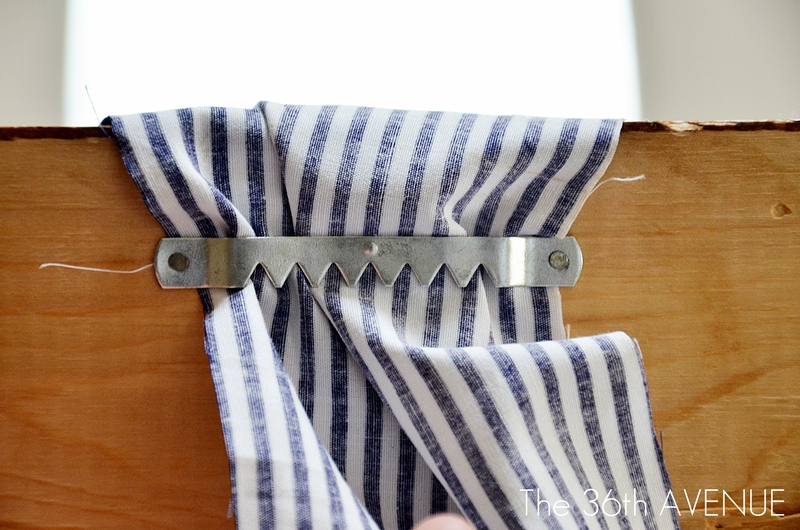 and sharing there the tutorial of how to make a NO SEW fabric and Washi Tape Banner! …to decorate our family room mantel. The first thing I added to this empty space was an old black mirror that I painted in white and antiqued it with a dark stain. 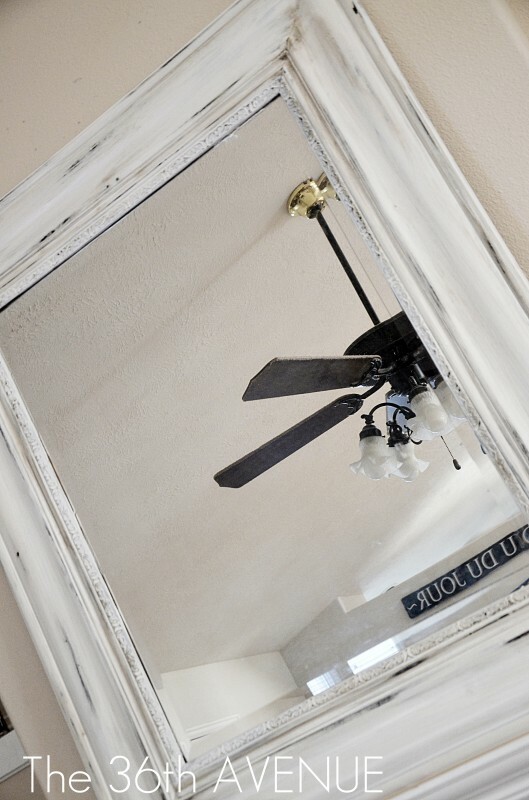 The mirror looked great at this point but it was missing charm. To give the look I had in mind, I used an old window. I added a metal hanger to the back of the window and hung it on the mirror. Now that I had the perfect background it was time to make the wreath. I bought this old wooden frame forever ago. 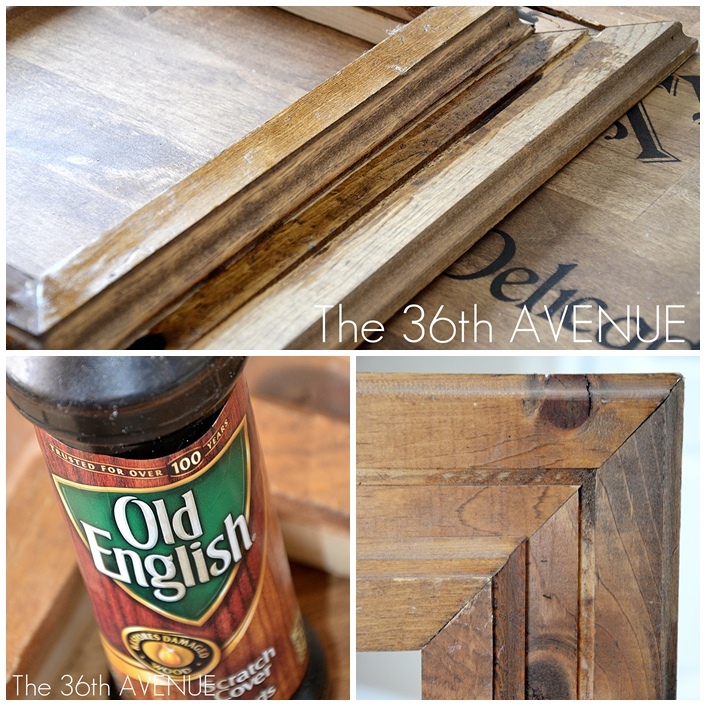 I love the texture of the wood but it needed some love and a little bit of Old English did the job. Next I made the Washi Tape-fabric No Sew Bunting. And I made miniature garlands using wooden beads that I found at Wal-Mart. To hang the wreath I nailed another small hanger on the back of the frame. I put the fabric through it and I tied it to the window. Some little things here and there and the mantel was finished! 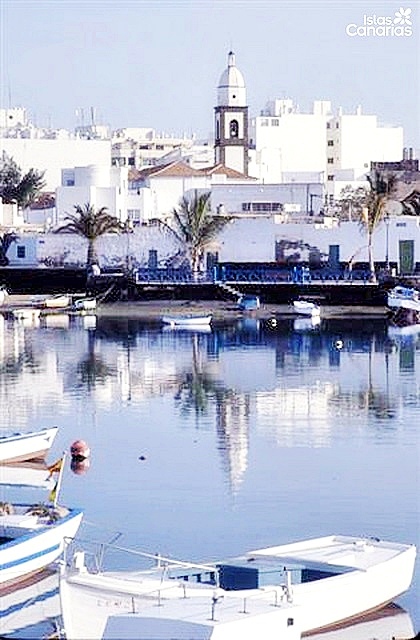 Arrecife, the beautiful city where I took my first breath. The end result… a wreath that screams island. And a mantel that reflects my roots. 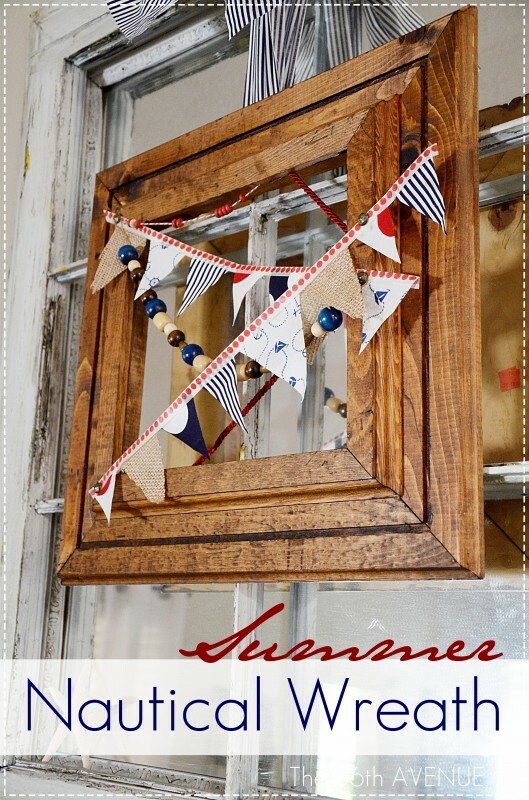 Click HERE to link up your projects! 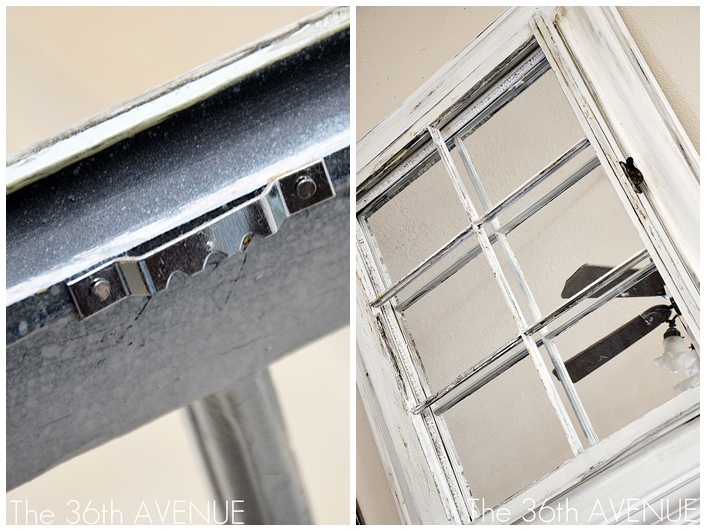 If you are new to The 36th AVENUE I want to welcome you! 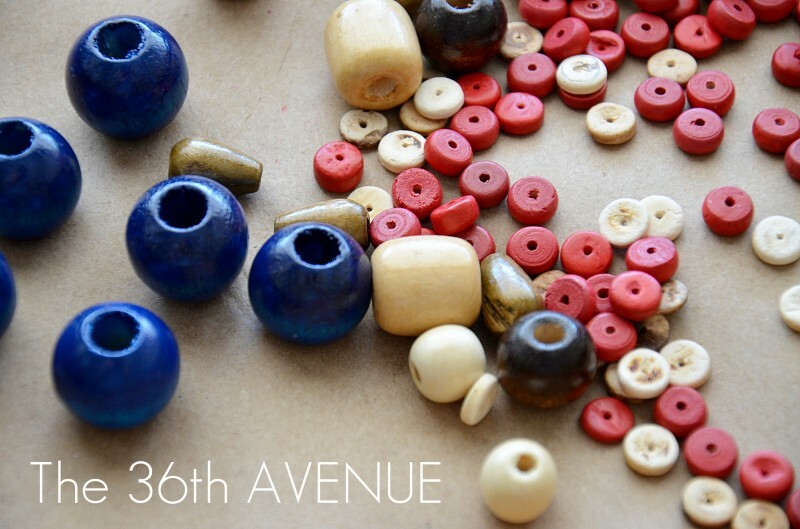 Subscribe to The 36th Avenue via Readers. Love the mantle! This project seems quick and easy. Great idea for any holiday. Thanks for sharing! Thank you Melissa! Have an awesome 4th of July! Thank you Shannon for stopping by and taking the time to comment! Love you girl! Love, love it!!! I have stacks of old picture frames in my garage and had no idea what to do with them! Thanks for the inspirations sweet Desiree! 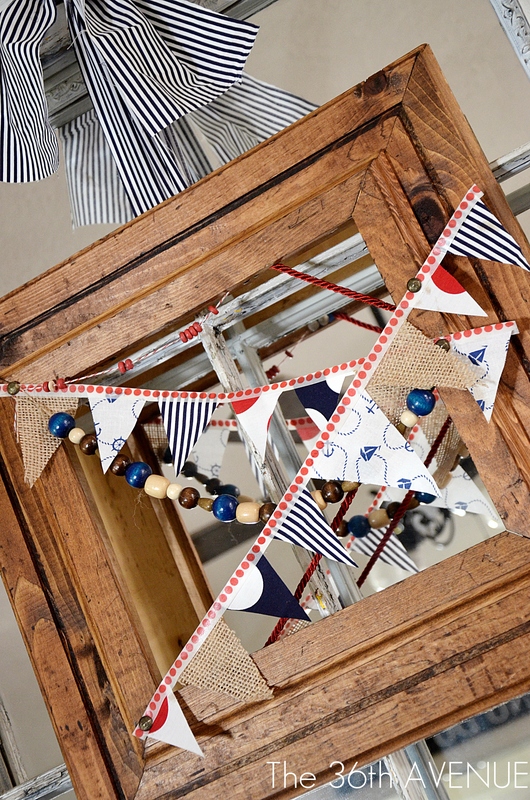 Love the bunting too! Love the new look on the mantel! 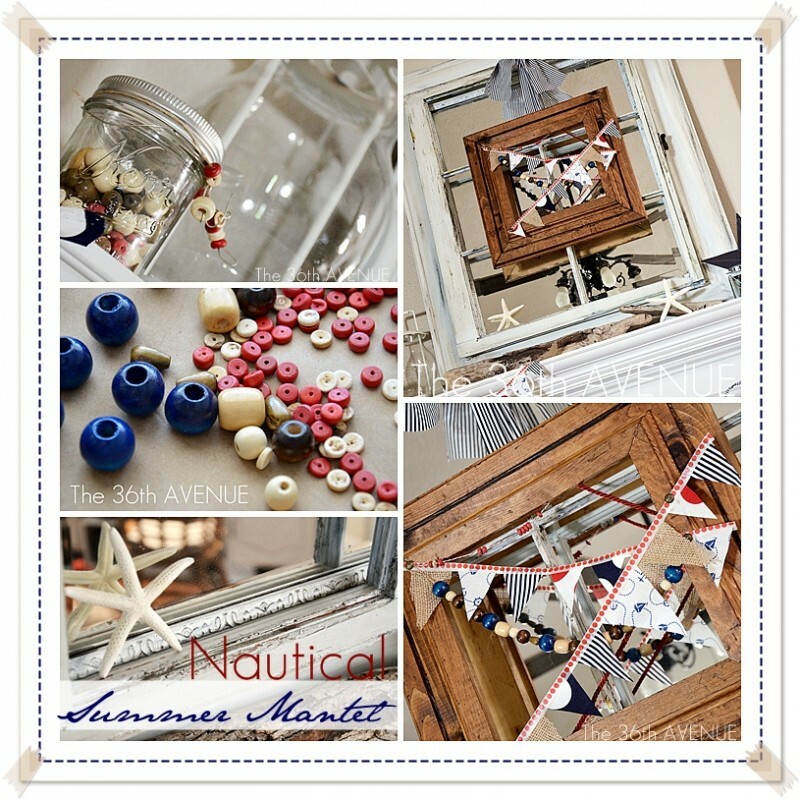 i think nautical is making a big comeback this year! Thank you Lorraine! I love any things that has to do with the ocean. This is gorgeous, I love the layers you used and the window on top of the mirror. Thank you for hosting! You sure know how to make things fun! Oh I love the nautical pendants! 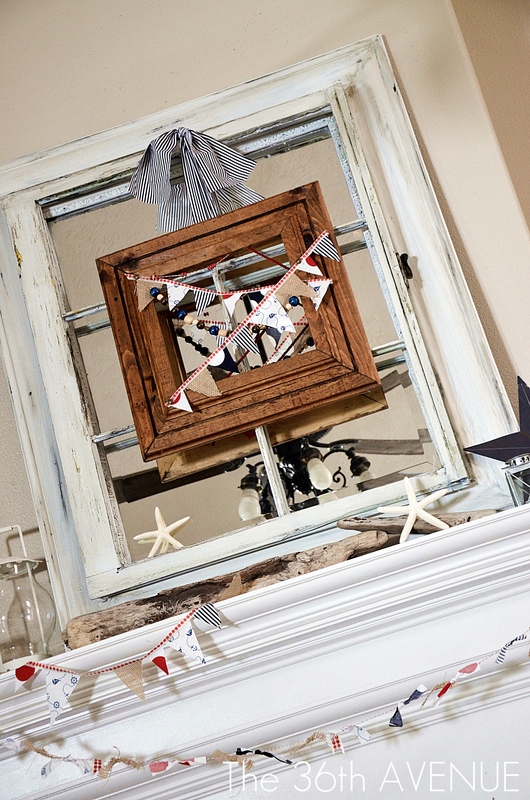 Super cute and looks perfect on the mantle! Love this idea! 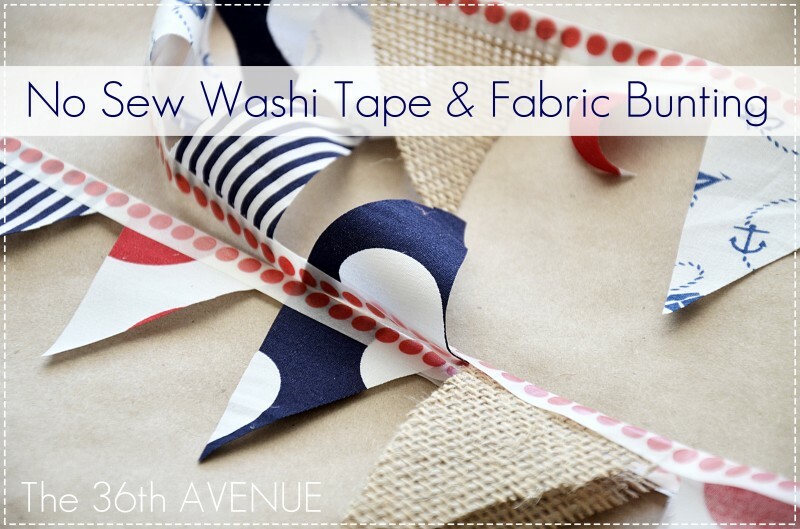 Where do you get the wide Washi tape? It is not that wide. You can get the tape at Target by the office area. 3 words… FAB U LOUS hugs….